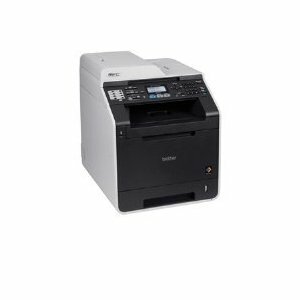 The MFC-9460cdn color laser all-in-one combines print, copy, scan and fax in one powerful device. It produces high-impact color output at impressive print and copy speeds of up to 25ppm and offers flexible connectivity with its Ethernet and USB interfaces. Its automatic duplex feature for two-sided printing helps save paper and optional high yield toner cartridges are available to help lower your operating costs " making this all-in-one a practical choice for a business or workgroup. Fast color output. With a print speed up to 25ppm in both color and black, you no longer have to wait for brilliant color output. Flexible connectivity. Install the MFC on a wired or wireless network via Ethernet or connect locally to a single computer via USB. Versatile paper handling. Use the 250-sheet capacity paper tray for letter or legal paper. Plus, a 50-sheet capacity multi-purpose tray for envelopes or thicker media. Expandable paper capacity. You can increase your total paper capacity to 800 sheets by adding an optional 500-sheet letter/legal paper tray. 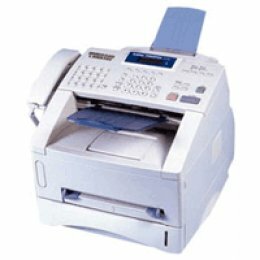 Automatic multi-page copying, scanning and faxing. Use the 35-page capacity auto document feeder for copying, scanning or faxing up to legal-size documents. High quality color scanning. Use the letter size document glass to scan a single page or the 35-page capacity auto document feeder to scan multiple pages at a time (up to legal-size). USB Direct Interface. Print PDF and JPEG files directly from or scan to your USB flash memory drive without connecting to your PC. High-speed faxing. Send and receive faxes quickly in b&w or color using its high-speed 33.6K bps fax modem.